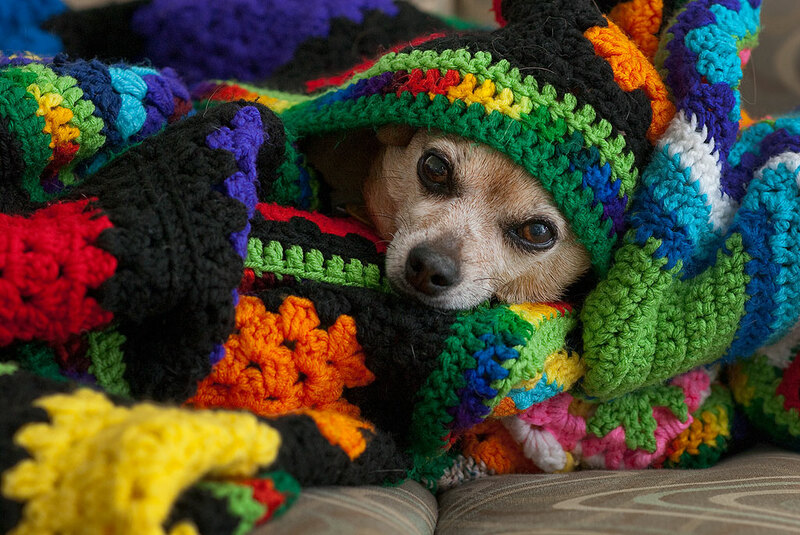 Max the Chihuahua takes cover under one of Abby’s afghans, since the neighbors to the southwest apparently got some 75%-off fireworks after July 4 and were shooting them tonight. I took a few days off the past week, after working a very satisfying Independence Day. The office won’t miss me too much, since it is our slowest season. I’ve done a huge amount of yard and pasture work, which included some minor repair work. Mostly, though, it’s been Abby and Richard time, which mostly means sleeping late, movies and television, and cooking out. I bought some fruit, including my newly-discovered favorite, golden honeydew, and have been making some fruit salad mixture with every meal. Among the more rewarding of our viewing choices were Bullets Over Broadway, Inception, and the documentary about Janis Joplin called Janis: Little Girl Blue, which I thought was moving and profound. 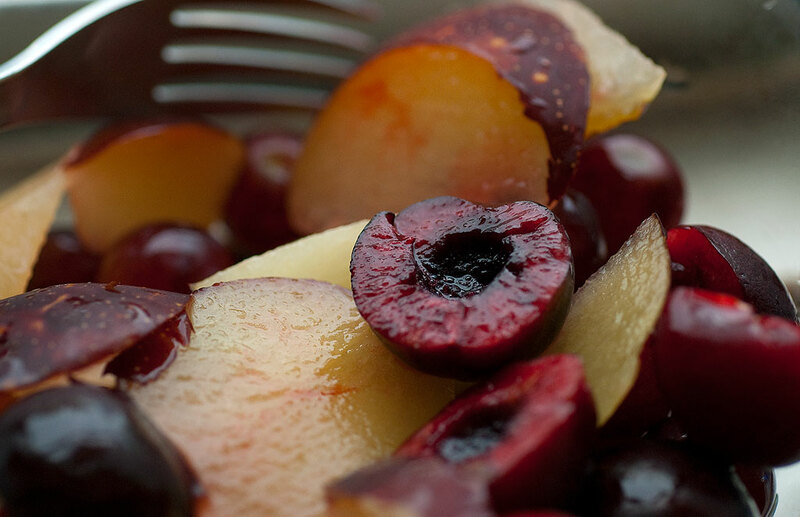 Fruit salad made with red plum, red grapes and black cherries: my new best friend. Inception is a fun movie. I do like the (not really) hidden premise that — while you can’t just change someone’s mind — you *can* plant the seeds that they will use to change their own minds. Glad you had the time off. Inception is an absolutely amazing work. It left me stunned speechless the first time I saw it and I still enjoy it, though the snow mountain battle ultimately gets a little monotonous. Still, an excellent science fiction fantasy.